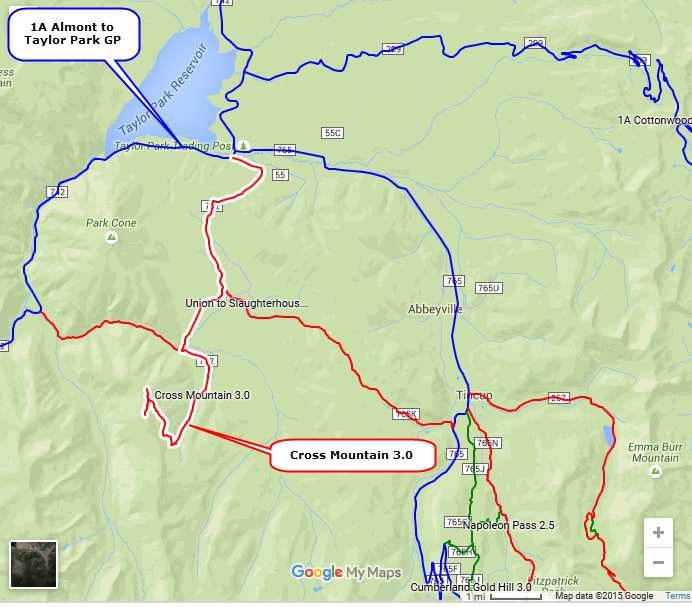 A Jeep trail from Taylor Park Reservoir, through Union Park, to a peak near Cross Mountain. 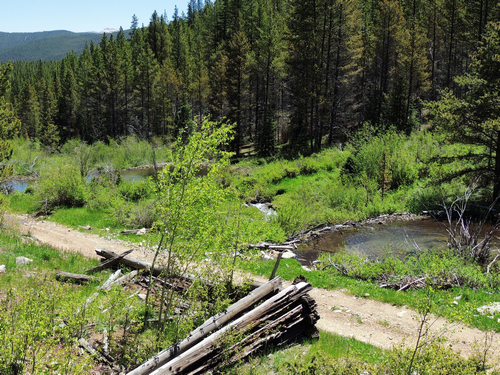 The southwest part of this trail climbs steeply through the trees until emerging above treeline and topping out at 11,800’. Quite a narrow road that gets more ATV traffic than Jeep traffic. Safe enough for Jeeps, but be aware that it is narrow in spots.